Keeping your financial future secure is one of the most important goals of any successful investor. During economic uncertainty, social unrest, or worldwide crisis, we believe owning a liquid asset like silver is an important component to a diversified portfolio. Historically speaking, silver has been an immensely popular precious metal. The IRS allows for the addition of precious metals to Individual Retirement Accounts (IRAs), meaning investors can convert their paper-denominated assets into physical silver. A Silver IRA functions in the same exact capacity as your current IRA, only instead of holding paper assets it is able to hold physical silver coins or bars. Many of our clients believe silver is a long-term hedge against inflation and wish to add it to their retirement portfolio. Your silver will be kept in an IRS-approved depository until you reach retirement age, at which time you can have your metals shipped directly to you or sold for cash at any time. Once your Silver IRA is opened, you still receive your statements; however, rather than being invested in mutual funds or stocks, you have physical silver coins and bars stored in an IRS-sanctioned depository. The Silver IRA rollover process is IRS-approved and 100% tax-free. Investors own silver in their IRA through what is known as a Self-Directed IRA. A Self-Directed IRA gives you the power to decide exactly what you invest in. Self-Directed IRAs allow individuals to safely own physical precious metals along with stocks, bonds, mutual funds, real estate, and more in a tax-deferred account. Whether you choose gold, silver, platinum, or palladium, the physical assets are safely stored in the secure and IRS-approved Delaware Depository. Which accounts can be rolled over to a Silver IRA? The Silver IRA rollover is ideal for clients who currently own a Traditional, Roth, SEP, or Simple IRA. Other types of accounts that could also be eligible for a rollover include a 401(k), 403(b), 457 Deferred Compensation Plan, Pension Plan, Thrift Savings Plan, TIAA CREF, non-prototype IRA, and Beneficiary IRA. When working with American Bullion, the process of adding silver or other precious metals to your current IRA is a simple and hassle-free transaction. You can choose to transfer your entire IRA, or a portion of it, into a new Self-Directed Silver IRA. This common practice is known as a “Direct Rollover” or a “Direct Transfer”. It is a tax-free transaction, meaning the IRS allows you to move funds out of one IRA into another IRA free of tax penalties. Many individuals also have old 401(k) accounts, or other types of retirement plans from previous employers such as a 403(b), 457(b), Thrift Savings Plan, annuity, or pension plan. These plans can be converted tax-free into a Silver IRA by requesting a rollover. In most instances, one simple phone call will allow the current custodian of your former 401(k) plan to release those funds directly into your new Silver IRA. To learn if your current retirement account is eligible, call 1-800-326-9598 to speak with a Silver IRA specialist. When you create a Silver IRA, it is established as a Self-Directed IRA. A Self-Directed IRA is a retirement account under the investor’s control with the capability of holding precious metals such as gold and silver. With a Self-Directed IRA, you the investor have complete control of your precious metals, which are real physical silver bars and coins. Silver has a number of properties which make it ideal for industrial applications, including its strength, electrical and thermal conductivity, and ability to endure extreme temperature ranges. These properties make silver irreplaceable with less expensive alternatives. Currently, ¾ of the world’s supply of silver is used to manufacture products such as medical instruments, solar panels, microwaves, batteries, film, and flat screen televisions. However, though silver is critical in technology, the ability to mine silver is limited. Both China and India have acquired unprecedented amounts of silver as a viable asset. China has made silver available at local banks to encourage its citizens to purchase silver bullion. Its industrial demand has led to silver being a popular investment vehicle around the world. Adding silver to a financial portfolio or IRA acts as a hedge against paper asset depreciation. Silver in your IRA also provides portfolio diversification and protection of wealth against inflation and turbulent economies. 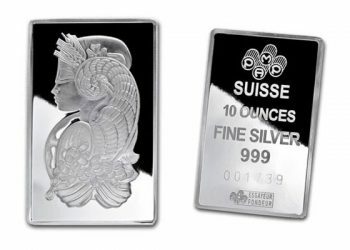 Silver as a currency is one of the most genuine forms in existence; since silver is not bound to any single money type, the value of it cannot be altered by central banks or governments. Silver has a proven track record spanning thousands of years and continues to perform today even during turbulent economic times. This is one of the most convincing reasons to transfer a portion of your IRA to a Silver IRA. 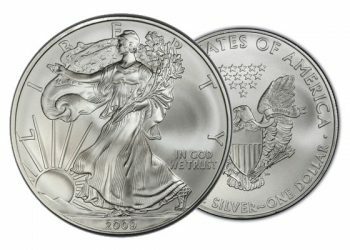 Another item that is popular in Silver IRAs is the Proof Silver American Eagle Coin. 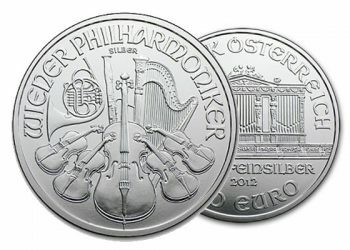 Proof silver coins were designed to be placed into an IRA and minted in limited quantities, meaning they have a slight intrinsic value in addition to the silver content. 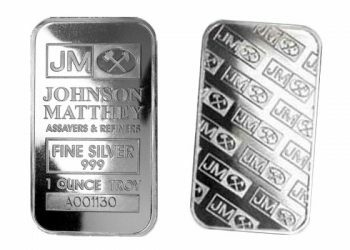 Proof silver is struck four times rather than just once like a regular coin, giving a frosted finish and mirror-like surface. 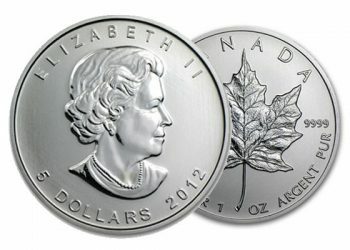 When looking at a proof silver coin versus a regular silver coin, the proof has a lot more luster and detail to it. Also, proof silver comes in a velvet box from the government along with a certificate for the purity and metal content. 1-800-326-9598 to speak with a Silver IRA specialist.